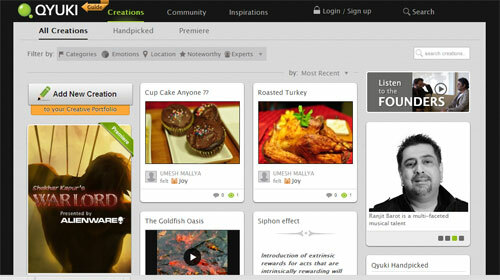 Filmaker Shekhar Kapur and music maestro A. R. Rahman has launched Qyuki, a social media Web site. Qyuki has been launched by Qyuki Digital Media Pvt. Ltd with investment from Networking company Cisco.